It was the Soviet Union that broke the back of Nazi Germany. Sure, the Allied campaigns in North Africa and Western Europe doubtless sped the fall, but by the time the Allies waded ashore on D-Day, the tide had already swung inexorably in the Soviets’ favor. Perhaps it’s a product of the West’s self-centeredness. Or some lingering effect of the Cold War. But for their massive contribution to winning the war in the east, the aircraft of the Soviet VVS are criminally underrepresented in the modeling world. In 1/48 scale, I think I could probably name all of the kits offered, which I can’t claim for any other major combatant. When I first got back into modeling two years ago, it appeared that things might be shifting. Zvezda had recently launched their stunning Lavochkin La-5FN, and followed it up with an arguably better La-5, the fighter that proved a match for the vaunted Fw 190. But then they wandered off and made a Messerschmitt Bf 109F-2, and they have yet to return to VVS subjects in 1/48. But this year, out of nowhere, things seems like they might be shifting. 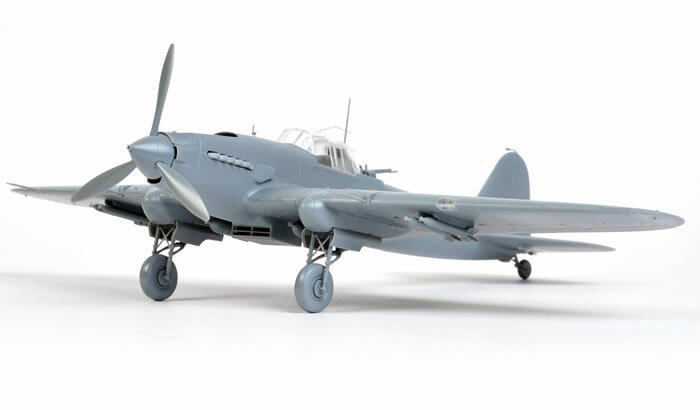 Tamiya, as usual, appears to be leading the way, with a new-tool Ilyushin Il-2 Shturmovik. At first it seems like an odd choice – Accurate Miniatures, after all, boxed several Il-2 kits somewhat recently, and despite some flaws, the AM Il-2s still command a pretty solid reputation. 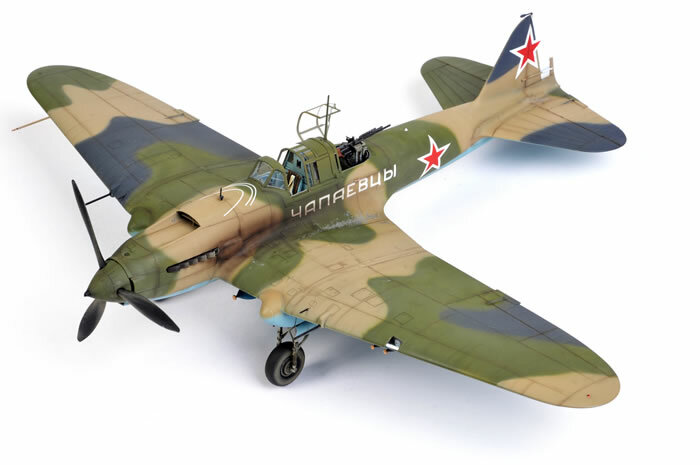 But the Il-2 is also far and away the most broadly-known Soviet aircraft of World War II, and as with their 1/48 P-47 and 1/32 P-51, Tamiya doubtless saw an opportunity to take a subject with decent representation in a scale and just blow it out of the water. Based on the early reviews – such as this from Brett Green – the Tamiya Shturmovik is another masterpiece of detail and engineering. Stay tuned for my own review of the Il-2 at some point in the near(ish) future, along with the bevy of photo-etch Eduard is rolling out for this workhorse of the Motherland. Another fascinating and out-of-left-field release comes from a new model company, Xundong Model. There’s some speculation that they’re similar to HK Models. That is, a company that’s done injection molding for the big model companies and has decided to put out kits on its own. The kit they’ve chosen? The Tupolev Tu-2, a fast twin-engine bomber designed along the sensibilities of the Junkers Ju-88. Though it didn’t become operational until 1944, the Tu-2 proved a very effective aircraft, packing some serious speed due to its twin Shvetsov ASh-82 radial engines, along with general performance that rendered it well-suited to multiple roles. 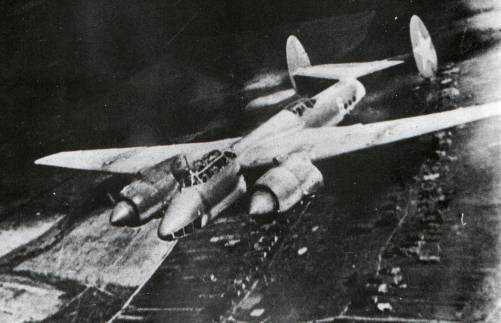 In Soviet hands it was used as a fast bomber, a photo reconnaissance bird, a heavy interceptor, torpedo bomber, and even as a testbed for the USSR’s first jet engines. The Xundong kit – representing the Tu-2T torpedo bomber version – looks extremely promising, with crisp, detailed (and numerous!) parts and a solid presence all built up. What’s more – it’s available through LuckyModel for a whopping $25.99. For a kit of this size and complexity, that’s an absolute steal. So far there are a few reviews – none of them in English – praising the Tu-2T and what’s described as “Trumpeter-like quality”. Which can be a pretty massive sliding scale! Stay tuned, though. I’ve ordered one of these and will be providing a review of what’s in the box soon! Overall, two models do not constitute a trend, but hopefully they’ll constitute a beginning. The Soviet VVS flew some rather interesting aircraft in World War II, and I for one would love to see modern tooling turned to subjects like the Pe-2, Il-4, Yak-9, LaGG-3 and La-7! Can’t wait for your review of the Tu-2. What a bargain if it’s good. I know, right? From the sprue shots I’ve seen, it definitely has good-Trumpeter levels of detail. The ASh-82 engines look like mini-kits in and of themselves, and the guns blow those included in Revell’s PV-1 away. The rub, of course, will be in how everything fits. That sturmovik is already on its way to my doorstep…. Bought mine true Ebay directly from Japan. Way cheaper than prices in LHS here in Belgium. Yeah, they’re about $80 here retail. Sprue Brothers is selling it for right around $65, but then there’s shipping. I could do the Asia thing, but it’d work out to around $60ish no matter what. Figure $65 + state sales tax will be slightly cheaper than Sprue Brothers, plus I get to support the local guys.